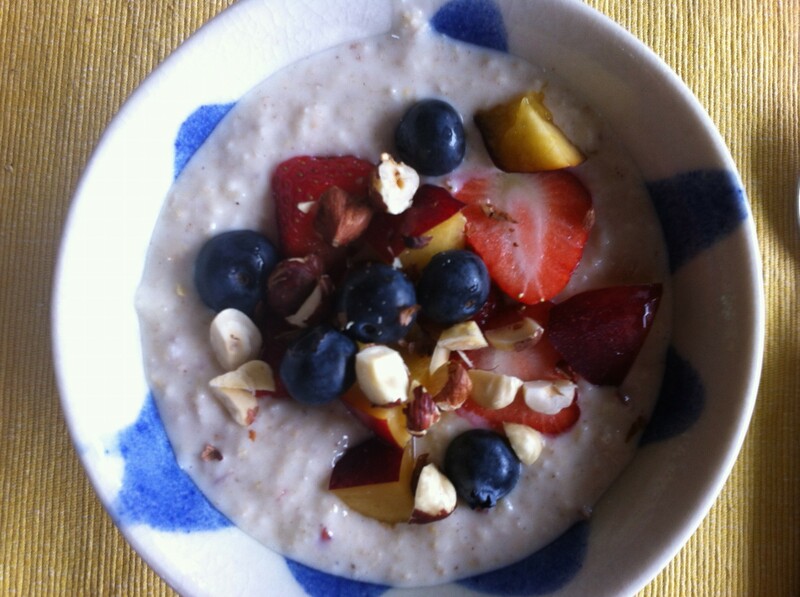 Easier to eat than regular meusli, and a cold alternative to porridge in the summer months. Apparently it was “invented” by the Swiss doctor Maximilian Bircher-Benner, a pioneer of holistic health, who served it to patients in his sanitorium. Stir the oats, milk, raisins, apple juice and lemon juice together and leave overnight in the fridge. In the morning, mix in the grated apple, honey, yogurt and cinnamon.